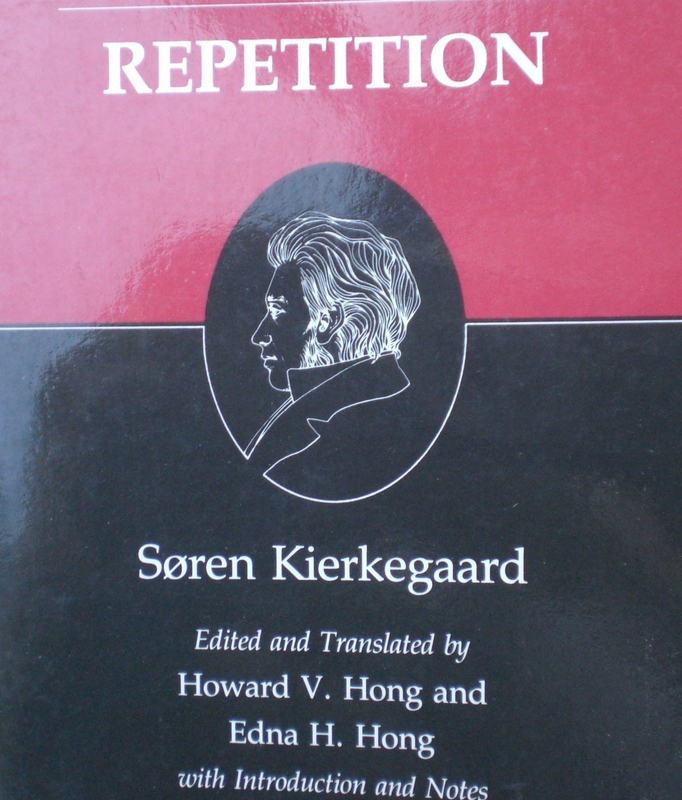 One of the key operations I am using here is of course repetition. 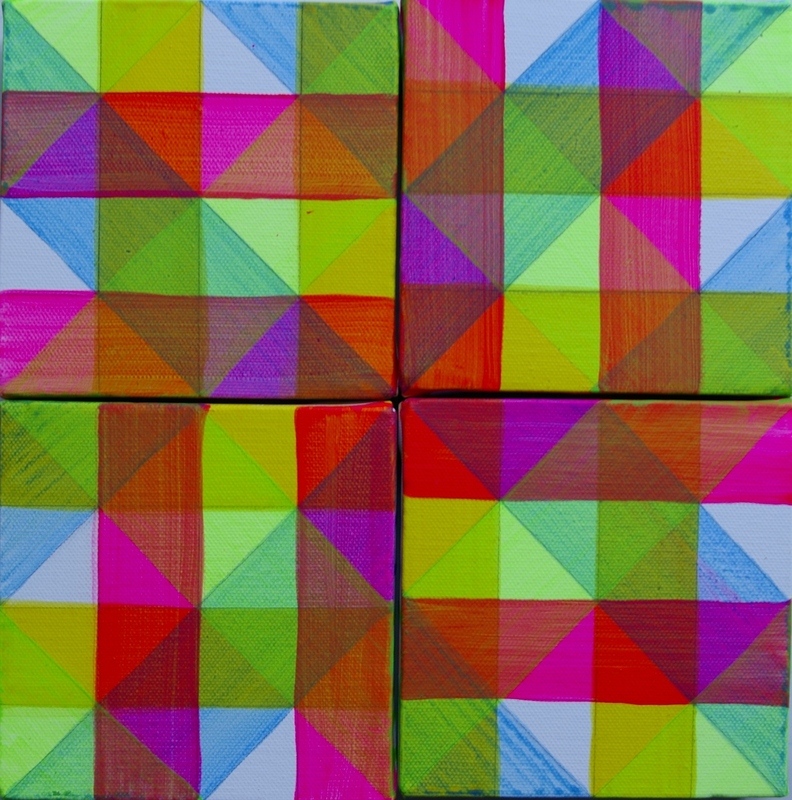 I aim to repeat a line, a move, a colour, a quadrant. Yet I discover that I am doing it anew, even when what I thought I was doing was repetition. I’ll say that last bit again: even when what I thought I was doing was repetition. The artists exhibiting at the pop-up exhibition Salon 1, the Summer Exhibition of Contemporary Art at the Old Lock Up Studio in Cromford on the 18th August 2012 are: Diane Atherton, Jackie Berridge, Clay Smith, Nick Hersey, Ivan Smith, Anthony Hall, Rachael Pinks, Jen Aitken, Filomena Rodriguez, Amanda Collis, Kim Sharratt, Vitor Azevedo, Nicola Eleanor Waite, Gareth Buxton, David Manley, Andy Parkinson, Justine Nettleton, Deb Allit and Dermot Punnett. Having a quick look at the web sites has got me in the mood for seeing interesting work of many different types, whether abstract paintings by David Manley, narrative paintings by Jackie Berridge, photomontage of Clay Smith (by the way, am I the only one making a distinction these days between montage and collage, and have I even got it right?) abstract landscape collage paintings by Rachael Pinks, sculpture (?) by Ivan Smith etc. What I am noticing most is that much of the work is classifiable with a / sign, whether it is sculpture/environmental art, painting/collage, abstract/figurative. I like the “neither this nor that/both this and that” of many of the kinds of work being exhibited. 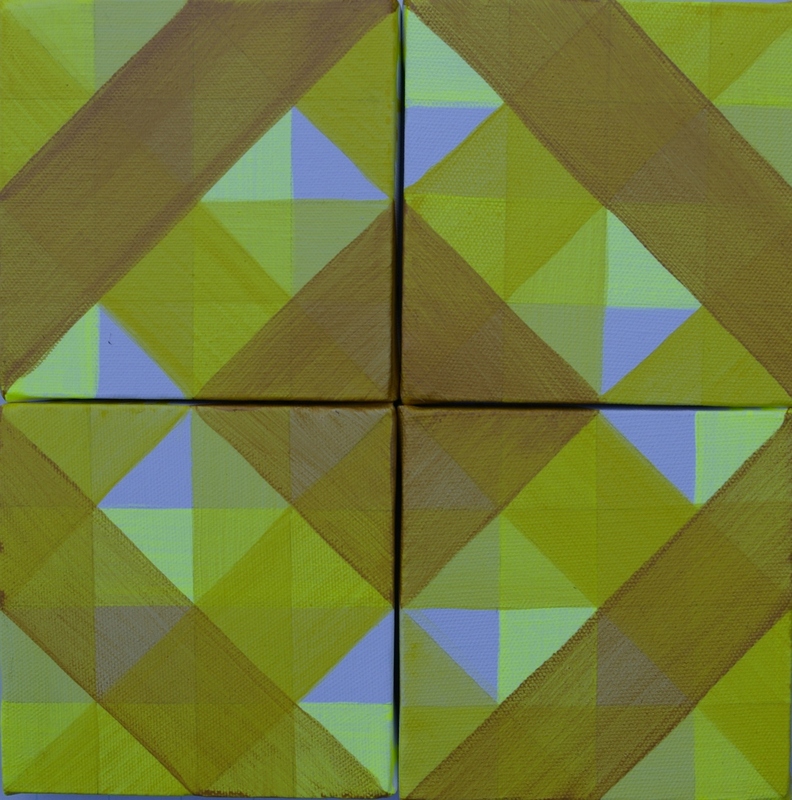 Even my own work which mostly stays put in one specific discipline is increasingly becoming painting/construction. I think it promises to be a really interesting exhibition, and with music by Corey Mwamba an excellent evening. Come and see it if you can! 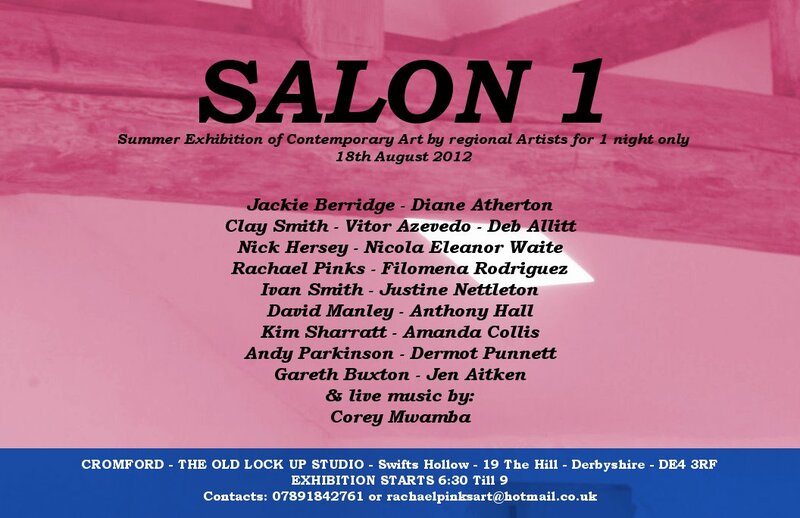 Another event I am looking forward to (not least because I am taking part) is Salon 1, the Summer Exhibition of Contemporary Art at the Old Lock Up Studio in Cromford on the 18th August 2012, for one night only! What better for a summer’s evening? Come along if you are anywhere near. This upcoming exhibition looks interesting. I am planning a visit or two. An exhibition to raise funds for the TURPS ART SCHOOL opening in September. In September 2012, Turps Banana, the painting magazine written exclusively by painters, will open the doors of its new art school based in Bermondsey. The one-year course aims to provide an intense mentoring structure for committed painters and, as well as a back to basics approach, Turps will have the support and involvement of some of the most illustrious painters who have worked with the magazine during the publication of 11 issues. Although all of the artists have donated works to help to support the magazine and the development of the art school, this exhibition has been carefully considered to reflect that which is current, significant and critical in contemporary painting, including abstract works by Thomas Nozkowski, Mali Morris and Phil Allen, and painters who have championed a figurative approach such as Chantal Joffe, Neal Tait and Dinos Chapman. 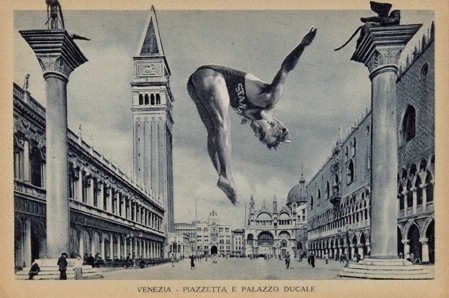 The show will change with new works being added during the course of the exhibition.